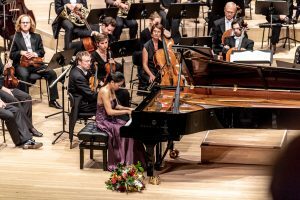 I am so thankful about these wonderful moments of music we shared on the stage of the Elbphilharmonie Hamburg. Can’t believe that I gave my debut in the Elbphilharmonie with the Deutsche Kammerphilharmonie Bremen under Aziz Shokhakimov. It was my greatest pleasure!